Wash the asparagus and break off the ends. Put the asparagus in a large pan. Pour the boiling water over it. Cover and turn the heat on high. When it comes to a boil, boil for about 3 minutes. 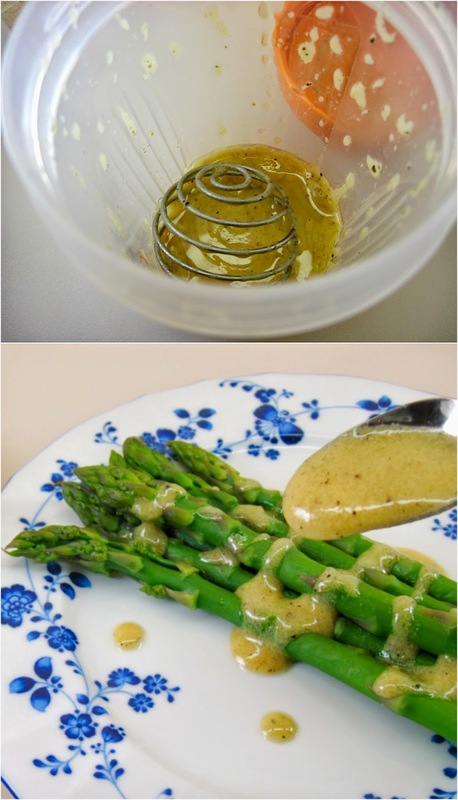 Put the cooked asparagus in a strainer, and let it dry and cool in the strainer. When ready to serve, put the asparagus on a platter. 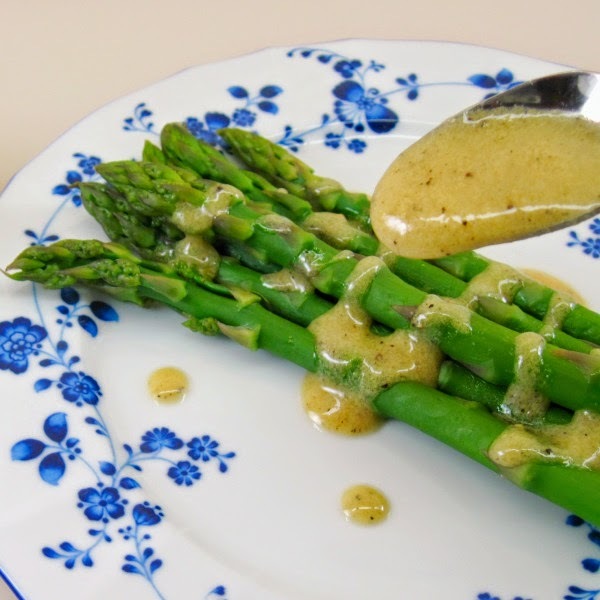 Serve the Mustard Sauce on the side, or drizzle it over the asparagus on the platter. Serve at room temperature. I put everything in my Blender Ball and gave it a few shakes and it was ready. If you don’t have a Blender Ball, put everything in a bowl and whisk it together. It doesn’t matter if it is not fully emulsified.